Microsoft has just announced a huge boost to its backwards compatibility drive by making all its future Games with Gold titles backwards compatible at launch. That means each month Xbox One owners will get even more free games with the Gold subscription. Starting in July Microsoft announced it would be offering two free Xbox One Games with Gold. With the new backwards compatibility option that will mean both the free Xbox 360 games will be available too. 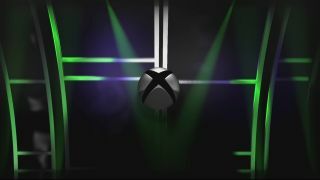 At the moment though backwards compatibility is still limited to the Preview folk, but at Gamescom 2015 Microsoft also announced that it will finally be available to all Xbox One users, for free, in November. As of now the community has voted over three million times for games to be given the backwards compatibility treatment - with Call of Duty: Black Ops 2 still sitting at the top of the voting, just ahead of Red Dead Redemption. It's looking like a big month for the Xbox One as that's also - probably not coincidentally - when the flagship console will finally get its own Windows 10 update. The Autumn update will bring in a whole host of improvements and changes to the interface. The big improvement though is that it's aiming for a much faster overall experience.